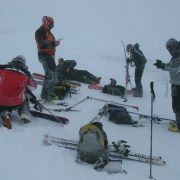 Ski Mountaineering & Touring in Scotland. Learn the basics, develop your skills with Actives Courses & Guided Days & courses. 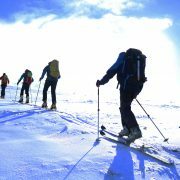 What is covered? 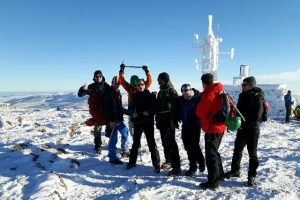 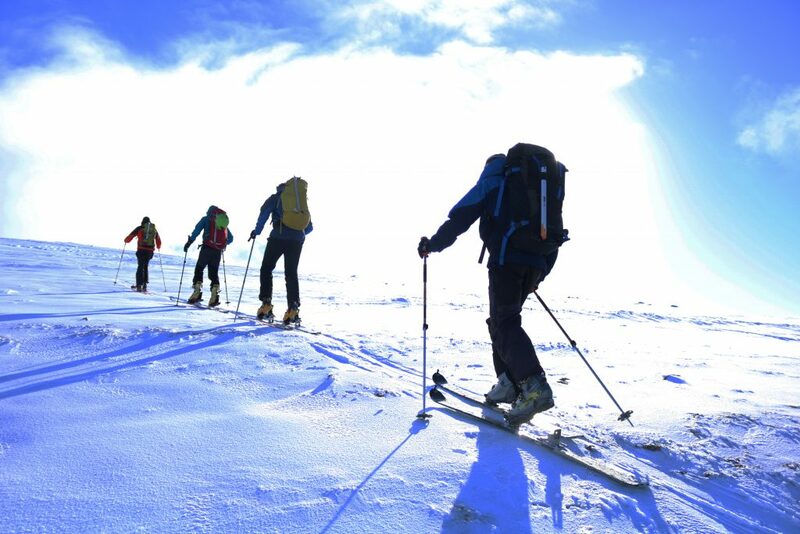 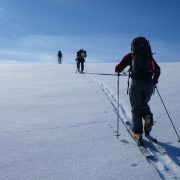 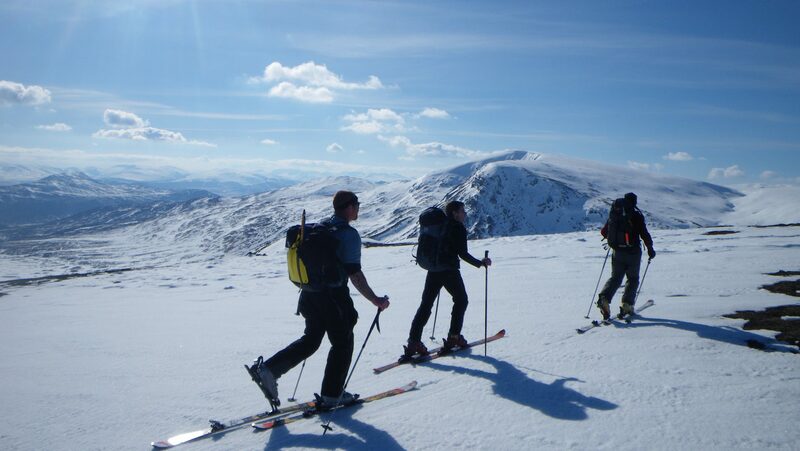 A typical course will look at the below aspects to Ski Touring & Mountaineering. 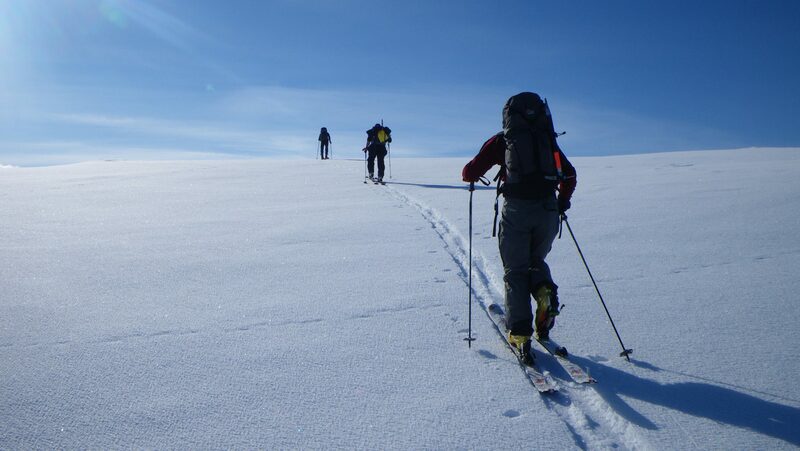 Ski touring is the most satisfying and efficient way of exploring and travelling through the mountains. 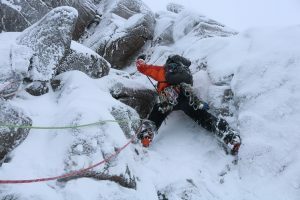 It is also a great way for gaining access to climbs. 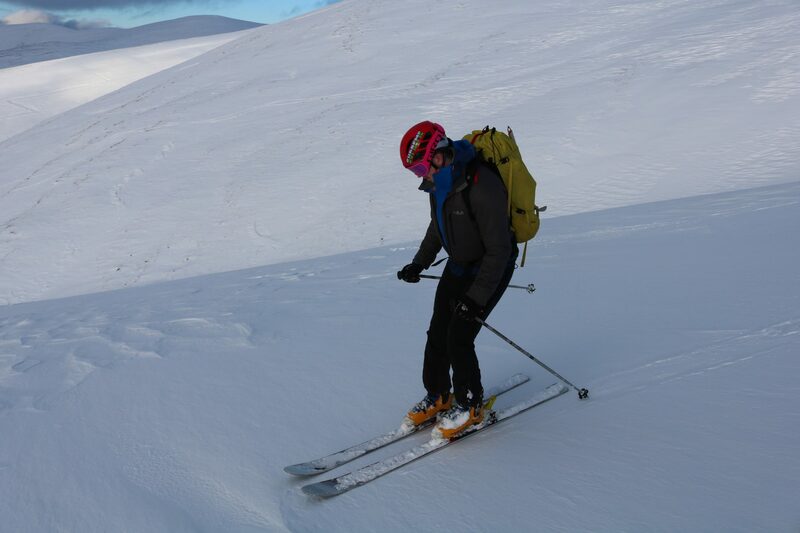 If you have yet to try it why not give it a go and learn to ski tour this winter and book on to our ski mountaineering & touring guided days or courses. 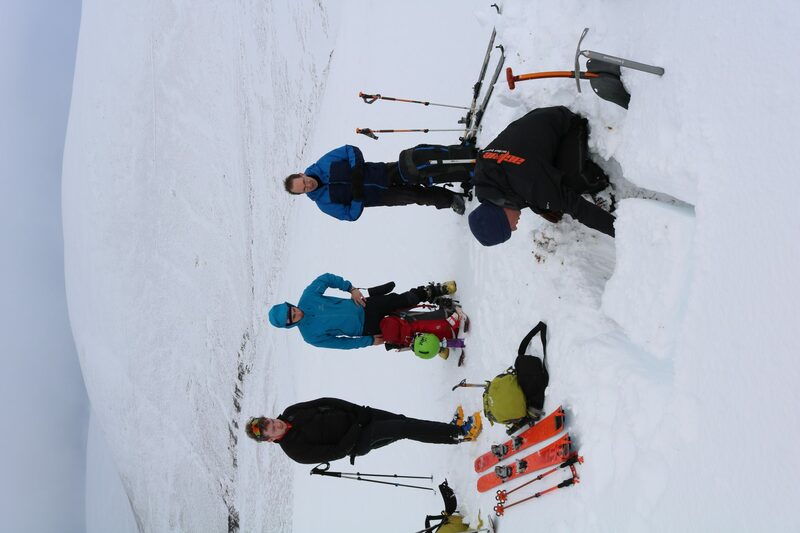 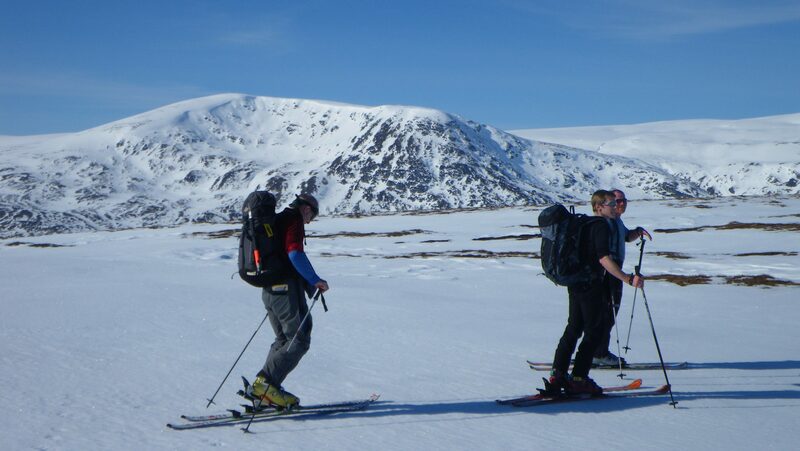 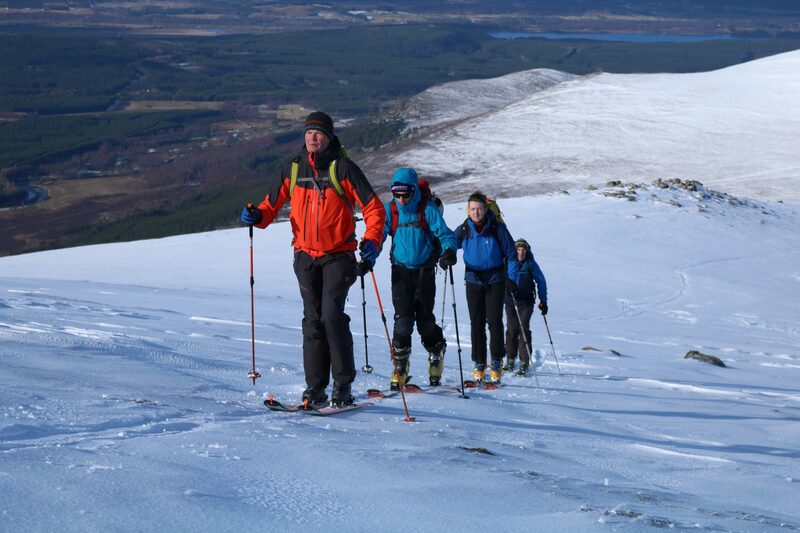 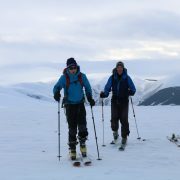 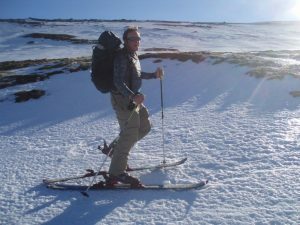 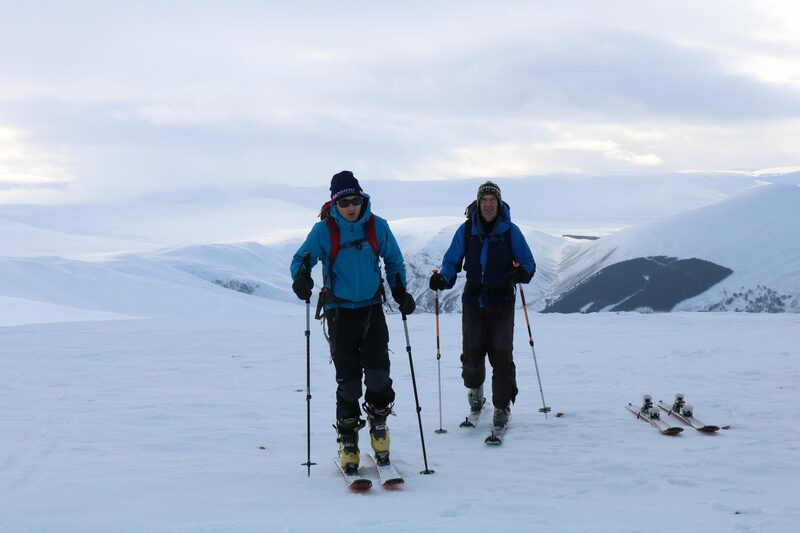 Ski touring days are based from Aviemore and our 2 & 4 day courses from the Cairngorms Adventure Centre. 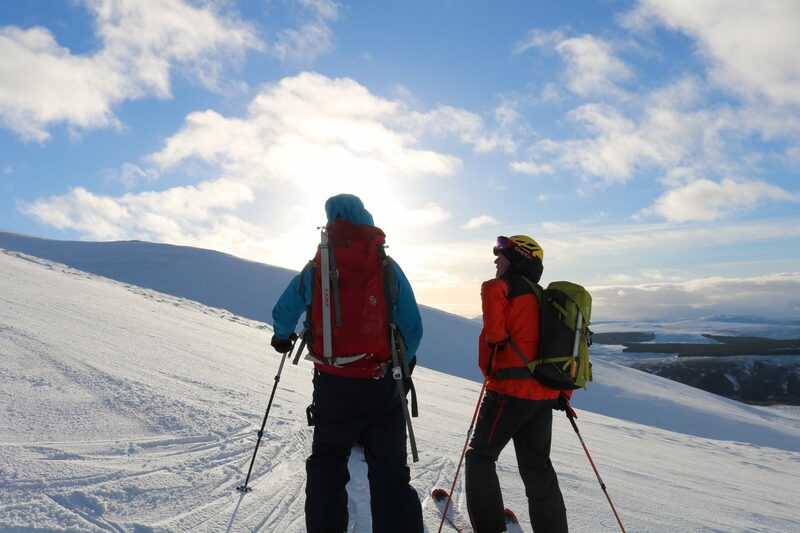 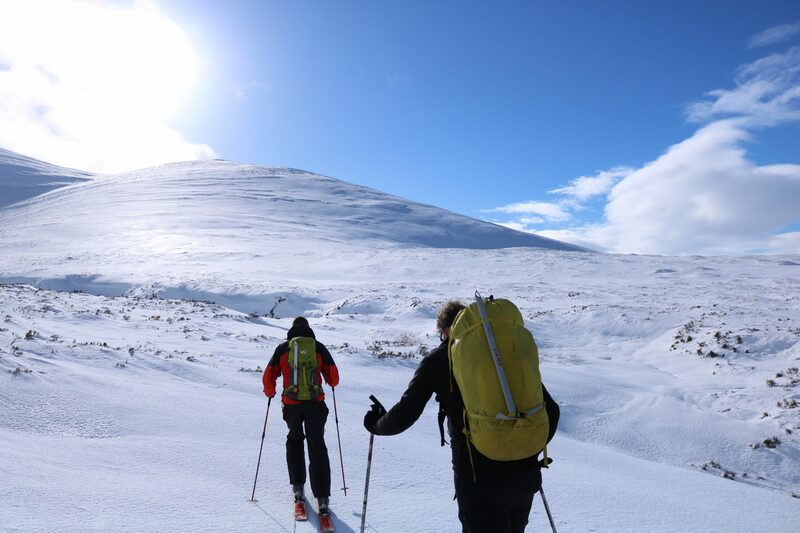 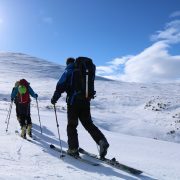 We will ski mainly in the Cairngorms which are Scotland’s finest ski touring mountains but should conditions be favourable, we may also visit Creag Meagaidh or the Monadhliath mountains. 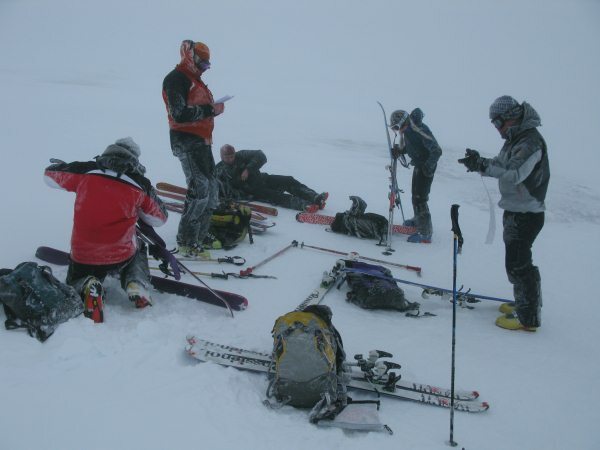 During the 4 day course there may be scope for an overnight expedition. 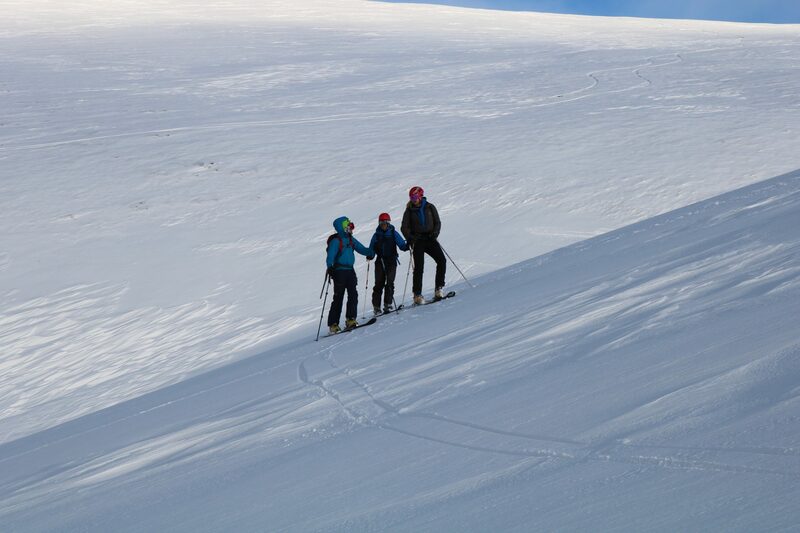 Private courses for groups and individuals are available, please Contact Us for a bespoke quote. 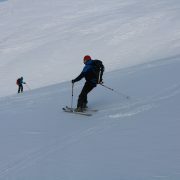 Instructor client ratio will be a maximum of 1:6. 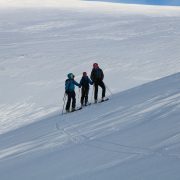 Our Ski touring equipment is Dynafit, Black Diamond & Scarpa. 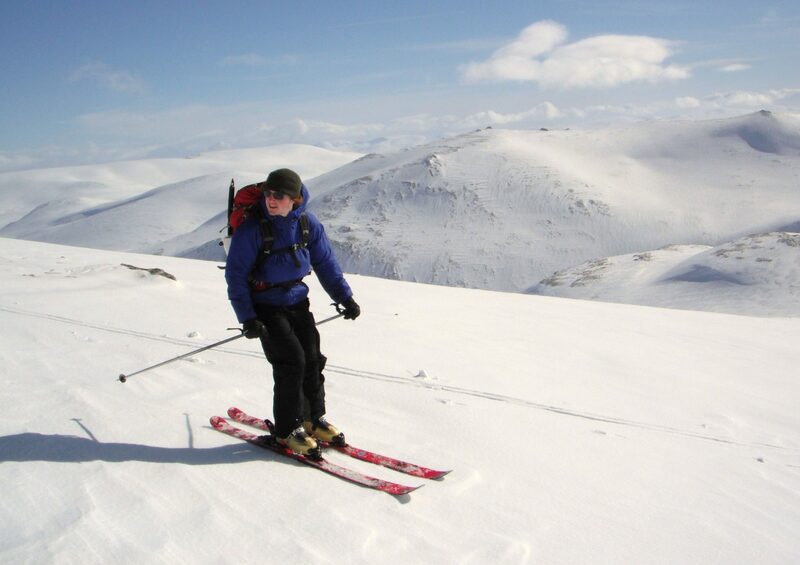 We have a large selection of ski lengths & boot sizes to suit all client requirements. 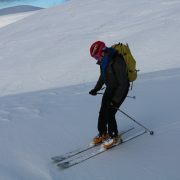 Helmets available if required. 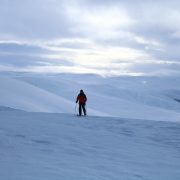 What to bring? 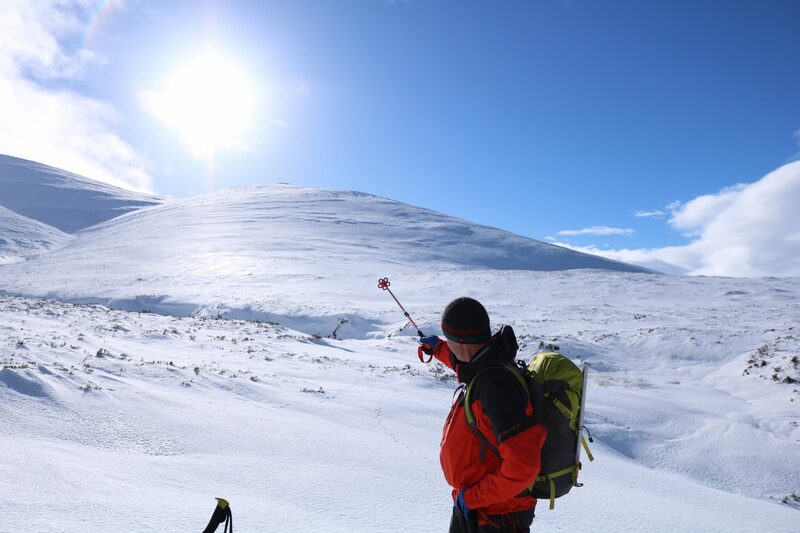 Essential clothing for the days/courses; waterproofs, base layers, warm layers, gloves (x2 pairs at least), 40+L rucksack, hat, buff. 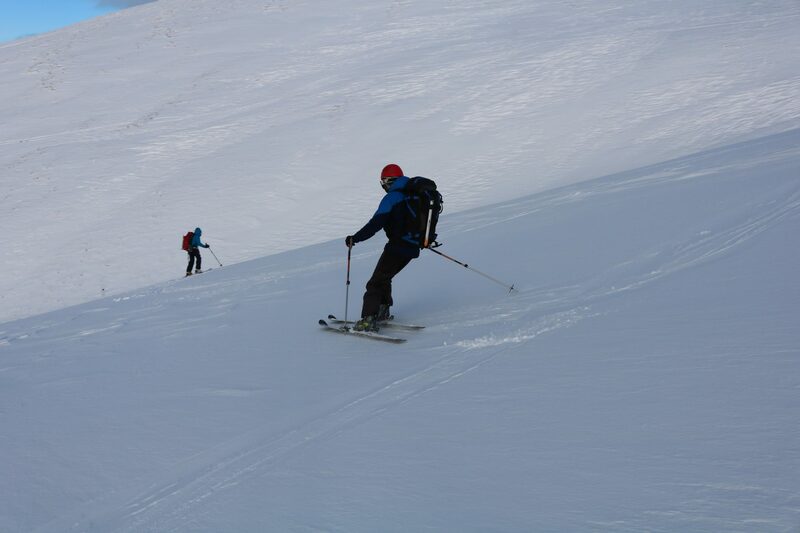 Ski goggles & Ski helmet* are essential. 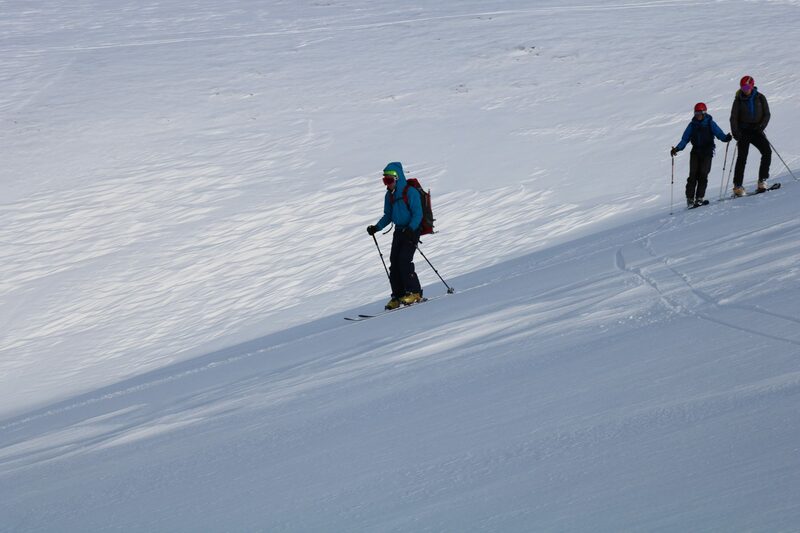 Those booking on to Ski Touring Days/Courses should be a competent skier and confident on blue & red runs. 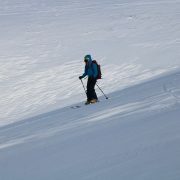 You should be able to control your skis on Black run terrain. 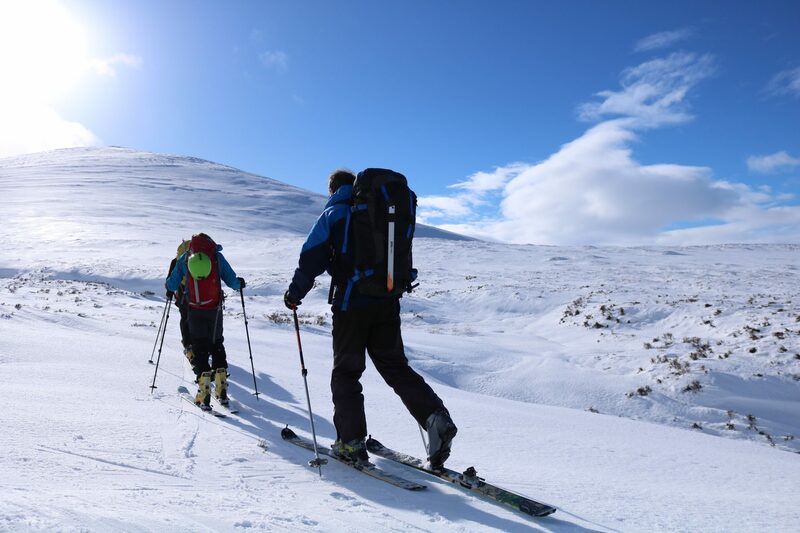 A high level of fitness is required as you will be out skiing on the slopes for a full day duration, hiking in snow and carrying a weighted backpack. 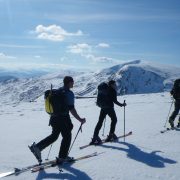 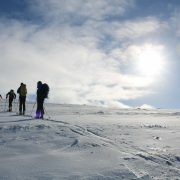 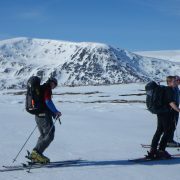 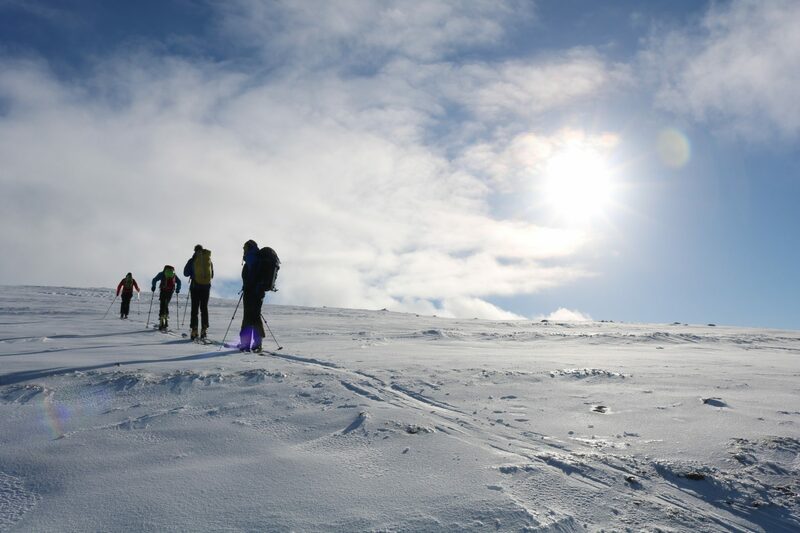 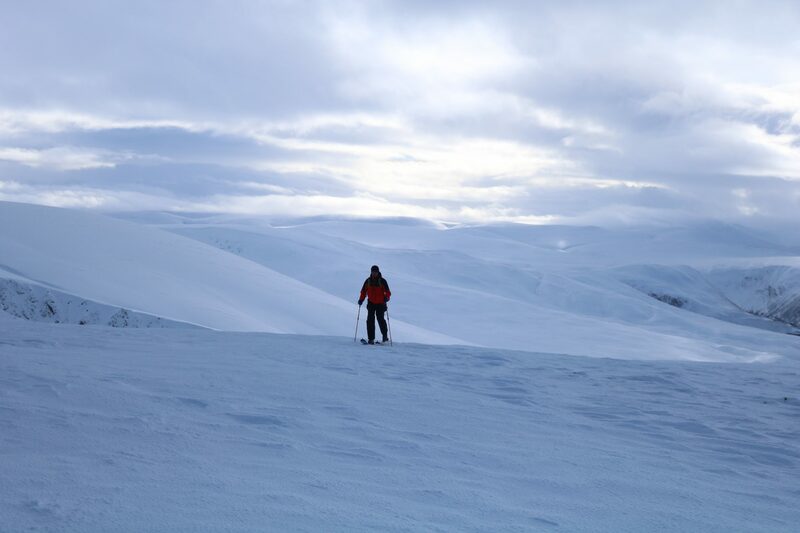 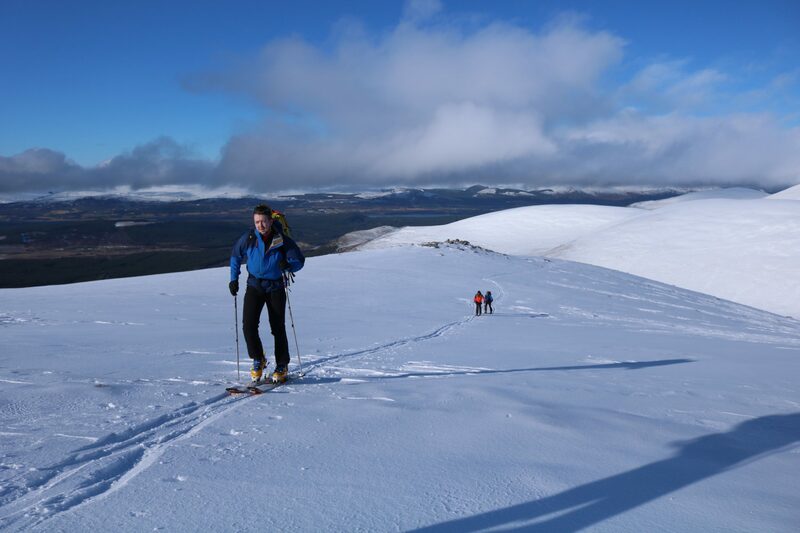 Ski touring in Aviemore and the Cairngorms but need accommodation? 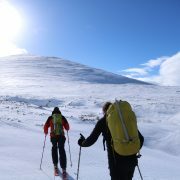 Accommodation is available at Cairngorms Adventure Centre. 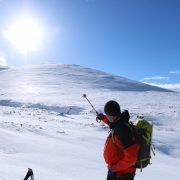 An affiliate with Hosteling Scotland (SYHA). 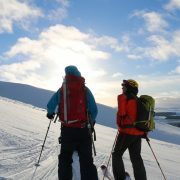 The lodge offers self catered accommodation; shared dorms or private rooms. 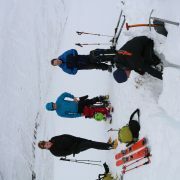 Catering can be provided for groups of 10 or more. 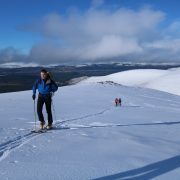 There is a drying room, open lounge, large kitchen, free wi-fi and friendly & helpful staff to make your stay with us enjoyable this Winter.